Laura Gerlach is the Admissions Coordinator at Endeavor Schools. After graduating from Mercer University in 2007, Laura went to work in her family business, Fort Group, which at the time was a leading student housing development company in the Southeastern United States. She worked as an administrative assistant and provided support in acquiring market research for the marketing and development team. She also assisted as a leasing agent for Fort’s Group’s sister property management company, Suite USA to support a student housing property on site in College Station Texas. After over three years of working in the real estate and property development world, Laura shifted career paths and has worked in early education for over 7 years in both traditional preschool and Montessori programs. Her experience began in St. Augustine Florida as a Pre-K teacher, and she worked up to Assistant Director and later as an Administrative Director of a Montessori school. She also worked in various leadership roles at schools in Dallas, Texas for two years. Working in the schools Laura handled enrollment and admissions processes, onboarding and hiring, classroom support and development, school event coordination, maintaining licensing requirements, and much more. Laura holds a B.A from Mercer University in Sociology (special topics Women’s Studies) and minored in Criminal Justice. She also holds a CDA, and National Director’s Credential. 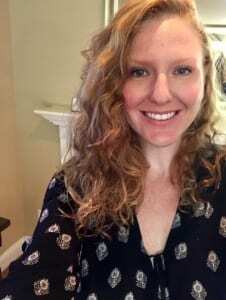 Laura was born and raised in St. Augustine, Florida, and now currently resides in North Atlanta, with her husband Matthew and two step-children.